well, well I want to ask Sok Eysan what happen to him/CPP now. Why not barking any more about other country get involve with his issues. Do you know why you stop barking? People know why Sok Eysan barking and people know why Sok Eysan stop barking. Are you kidding, this Khmer political game is always like that. No different from former king, he always quits and UN-quit when he was head of coalition government during 80s. If you want to be a hero in the coffin,go ahead but I think you are a fool in Khmer political game. The CPP doesn't care with Hun Sin mastermind behind all these killings. You have to be an idiot not seeing all the assassinations that you could have the same fate. You have to know when to fight or flight. If you are strong then you fight. Hun Sin was strong because he controlled the corrupt court, the military and the police. 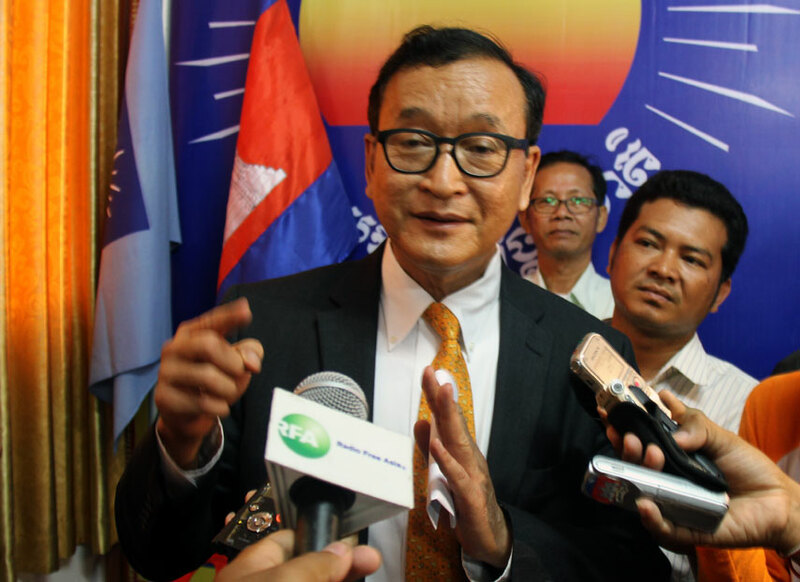 Sam Rainsy had to flee to fight another day. Now, do you see? SAM RAINSY, KEM SOKHA, HUN SEN ARE FOOLING THE KHMER PEOPLE. THE WORK TOGETHER, BUT THEY ACT AS THEY ARE FIGHTING. Conspiracy nut! But you have the right to your opinions. I support free speech. I like to ask you. Was Kem Ley murdered part of CNRP and CPP conspiracy? What about other murders like Chea Vichea, Chutt Vuthy and others?